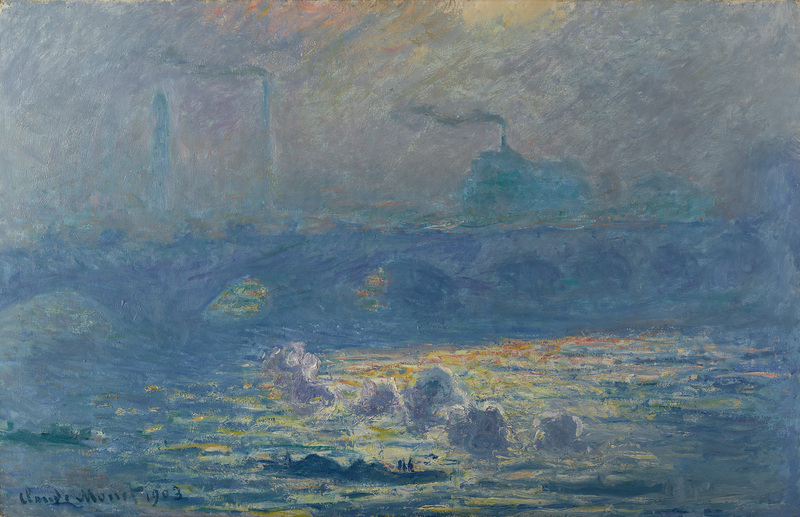 Monet's Waterloo Bridge: Vision and Process brings together nine stellar versions of Claude Monet's well-known series of paintings depicting London's Waterloo Bridge. 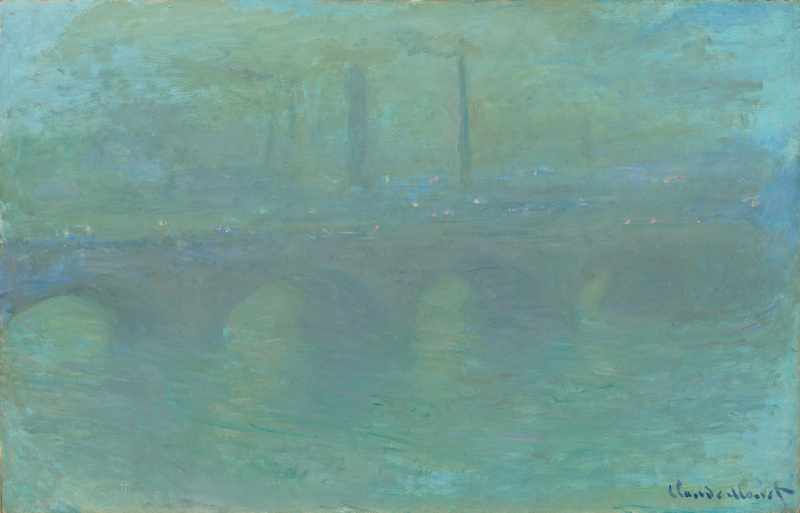 These paintings, which include WAM's own 1903 version of the iconic London landmark, reveal the breadth of Monet's emphasis on color, light, and density. Monet's later paintings often relied on the concept of seriality, sometimes resulting in dozens of variations of the same subject. His Waterloo Bridge series presents an ensemble that, collectively, expresses the essential qualities Monet found inherent to the River Thames' fog-bound landscape. The exhibition gives viewers a rare opportunity to view an exceptional grouping of Monet's paintings — made possible through loans from museum collections across the United States — and to examine closely the Impressionist's artistic process. Extensive new imaging and materials analysis provide the interpretive foundation for this exploration of Monet's process, which will be incorporated into both technological interactives in the exhibition and in an accompanying catalogue. Published by Rochester Institute of Technology Press, the catalogue includes contributions by Professor Grace Seiberling of the University of Rochester; Jennifer Thompson, curator of European art at the Philadelphia Museum of Art; and James Hamm, head of paintings conservation at Buffalo State University. 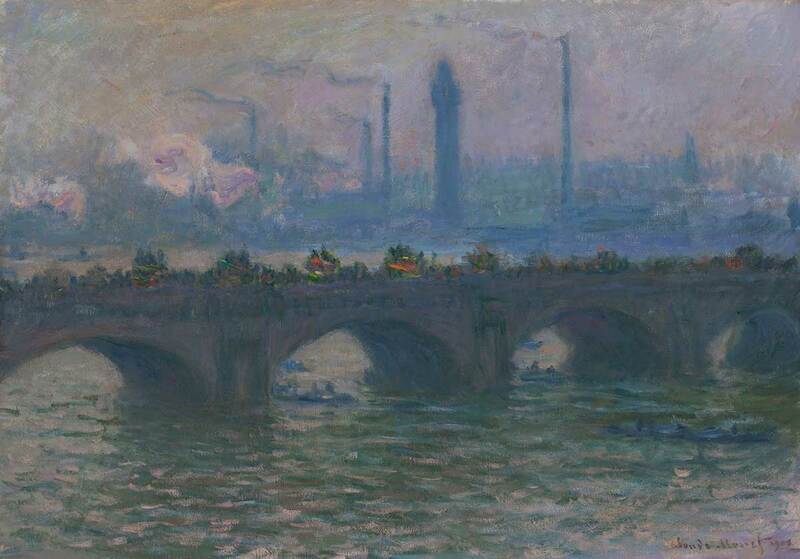 The exhibition Monet's Waterloo Bridge: Vision and Process and accompanying catalogue and technology originated at the Memorial Art Gallery of the University of Rochester, Rochester, New York. This exhibition is supported by an indemnity from the Federal Council on the Arts and the Humanities. 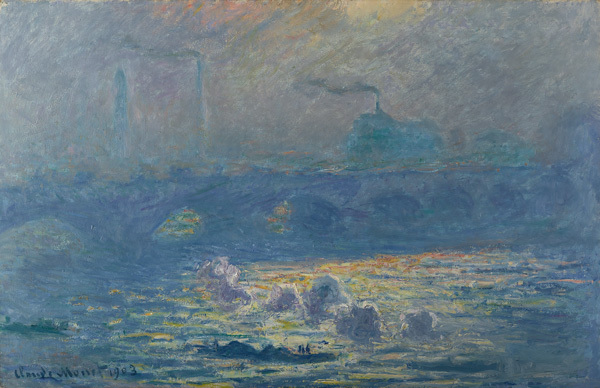 Monet’s Waterloo Bridge: Vision and Process was adapted for special presentation at the Worcester Art Museum. Lenders include: Art Institute of Chicago, Baltimore Museum of Art, Carnegie Museum of Art, Davis Museum at Wellesley College, Denver Art Museum, Memorial Art Gallery, Milwaukee Art Museum, and National Gallery of Art. Monet's Waterloo Bridge: Vision and Process at Worcester Art Museum is sponsored by Bassick Family Foundation and Cornerstone Bank. Why did Monet paint in serials? What makes Worcester's “Waterloo Bridge” painting unusual? Master Series Third Thursday: New Light on Monet. Speaker: Gloria Groom, Ph. D., David and Winton Green Curator at The Art Institute of Chicago.